Miyagi Guest House is a reasonable inn, conveniently located in the center of Sendai , Miyagi Prefecture. We welcome backpackers, motorcycle tourists, bicycle tourists, people traveling alone to Tohoku area, people who travel to Matsushima, one of the three most scenic spots in Japan, want to enjoy a gourmet tour to eat gyutan - ox tongue, Yokote yakisoba, the three most major noodles in Morioka, and etc., and want to watch games of tohoku rakuten golden eagles, vegalta sendai, and sendai 89ers and etc. We would like both travelers to Tohoku area and the local people to feel free to visit us. We provide you with dormitories for men and for women and private rooms. We offer you profitable plans, like pre-paid coupons. 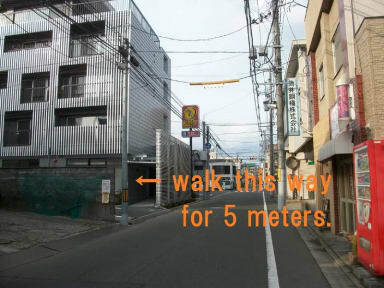 Great location, in the center of Sendai City but in a quiet alley. Small but lively hostel. Located at 10 minutes walk from the station and downtown. The bed was spacious with a lot of space for luggages and a cabinet with locker. Showers and toilets small but decent. I had a great stay here! The location is very close to Sendai station (a 12 minute walk), and has a supermarket, bakery and konbini nearby. The atmosphere is really lovely, the common room is a tatami room with kotatsu (heated tables with blankets) -it's very cozy. Staff is great; friendly and helpful, always available and maintains the facilities well. It felt very safe, but there were no lockers to put your valuables in - I was totally fine with this, but just a heads up for others. Cozy house that’s been turned into a hostel for the low-maintenance traveler! Not difficult to find at all. The owner was very nice and helpful even with minimal English ability. Beds are just the classic futon/pillow combo and toilets/showers are Japanese in the fact that they aren’t very spacious. Not a complaint on my part, just letting interested parties know! May have a few rough edges but this is a solid choice for Sendai city accommodation. There are tight corners but a friendly atmosphere where you can relax and cook your own meals if you want to. Good value! The hostel is hard to find without the directions which they send you. With them, it's easy. The hostel is not comfortable. The beds are hard and there are no chairs inside. The kitchen is small and ill-equipped but it works. The manager Kon is not a communicative sort so it's up to the guests to create an atmosphere. The guest house is, however, cheap and well located. This hostel is kinda eh? There's no locks on any of the doors, but then the area itself seems safe. 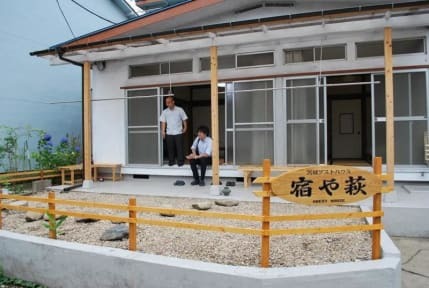 By the other reviews I read, the beds here are no more uncomfortable than anywhere else but they were uncomfortable - futon beds like that are meant to be on tatami mats and not hard wooden floors. The location was great but that was about it. There was one extremely grumpy dude who just never left and seemed to resent our presence at the hostel, it's not the place to meet people. Pretty much ok.
Alright for a place to sleep, was really cold in the hostel. Not much here but a bed really.